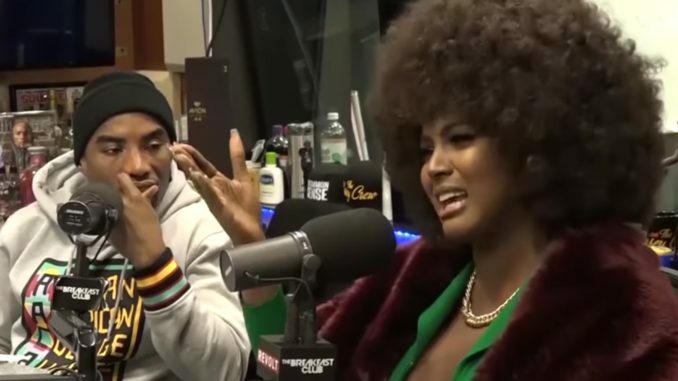 Charlamagne is still reeling from the backlash he endured after his interview with Love & Hip Hop: Miami’s underdog Amara La Negra. The Afro-Latina joined The Breakfast Club morning show to discuss colorism in the Latin community. Instead of “seeking understanding”, Charlamagne made offensive remarks, questioning if the struggles of Afro-Latinos was all in Amara’s head and said if Cardi B, an Afro-Latina, can be successful, so can Amara. DJ Envy & Charlamagne Tha God are catchin heat for their interview w/ Amara La Negra from LHHMIA on The Breakfast Club this morning Thoughts??? Cardi B’s sister Hennessey Carolina also joined in the conversation after Charlamagne questioned the validity of Amara’s complaints, pointing to the success of Afro-Latina Cardi B as an example. Many aren’t happy with how #Charlemagnethagod especially handled the entire #Amaralanegra interview yesterday morning on #thebreakfastclub, see previous post. Many sounded off in his comments, said he deserve donkey of the day & dragged Envy into it though he tried to be respectful to Amara. People upset with the way they treated Amara & also bringing others into it, such as actor #LazAlonso @lazofficial who is Afro-Latin too is also taking up for the Afro-Latin community, #Hennessycarolina reaction to the interview Breakfast Club did bringing up Cardi & part where she made an expression when asked about her sister Cardi & Hennessey said she likes Amara too. Amara said she adores them so it’s all love since they understand they been fighting the same fight. Amara saying colorism exists in Latin market. Full interview in bio. Thoughts?